Good fishing hanging midges under an indicator above the weeds at Silver. A good sonar will give you an idea of where the best concentration of fish are. This time of year the creek and river inlets hold the most fish unless you plan to go very deep. They still bite as the breeze comes up and you can have some pretty good number days here. The weeds are now well established at the south end of Silver. Other alpine lakes may require longer leaders to get down to the fish but the setup is still the same. 9′ leaders with #18-20 paramidges and griffith’s gnats for the surface action. Go with small copper john’s , Pt’s , and midges when going subsurface or hung under an indicator. 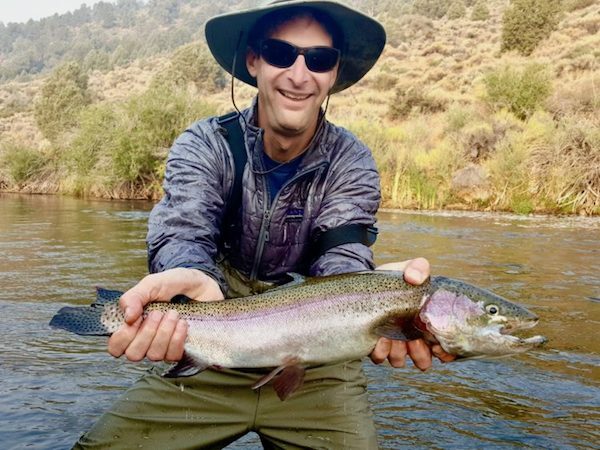 Eastern Sierra Fishing Report: Fish’N Conditions! Crowley Lake: Quality of Fish Continues to be Great Here! Bridgeport Reservoir: Bridgeport Reservoir Fishing Report!